This is my November order. I normally like to collect a few make-up bits from AVON normally they are re-purchases. 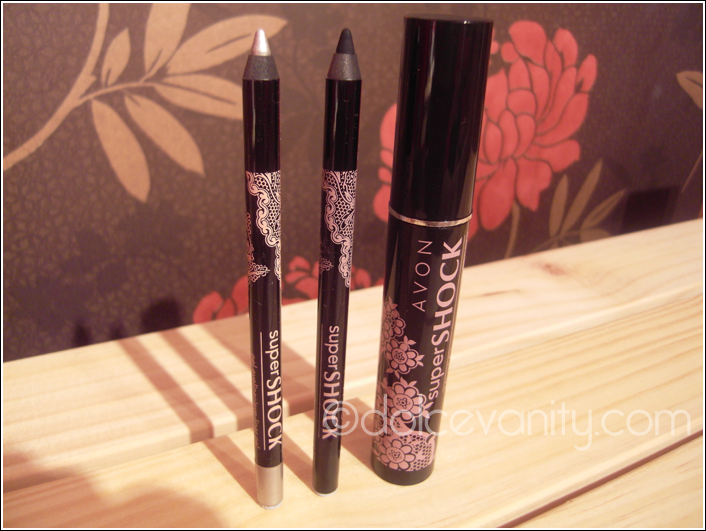 I decided to get the two supershock gel eyeliners always as my mascara re-purchase. AVON Luxe Lace Supershock Mascara. What I love about this mascara wand is that it's not too thin or too big but it is quite a reasonable sized wand. 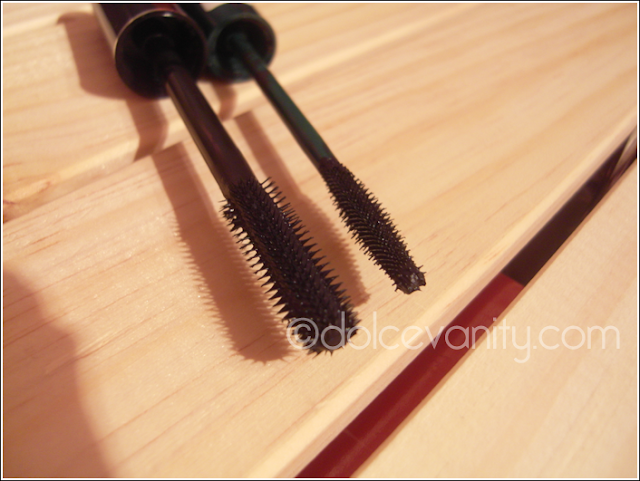 I notice that when I use it, it doesn't clump on the wand or over packs itself. 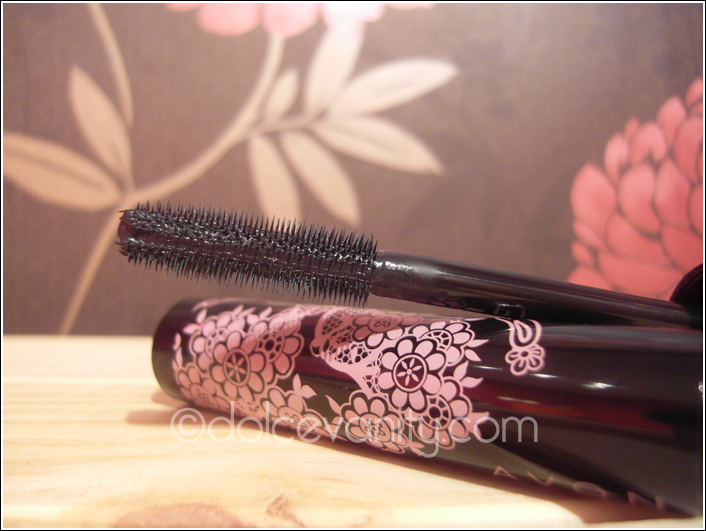 To get an idea of the size of the wand this is it against the NO7 exceptional definition mascara, as that is quite a thin wand with multiple bristles. The Luxe Lace Collection has such gorgeous packaging. 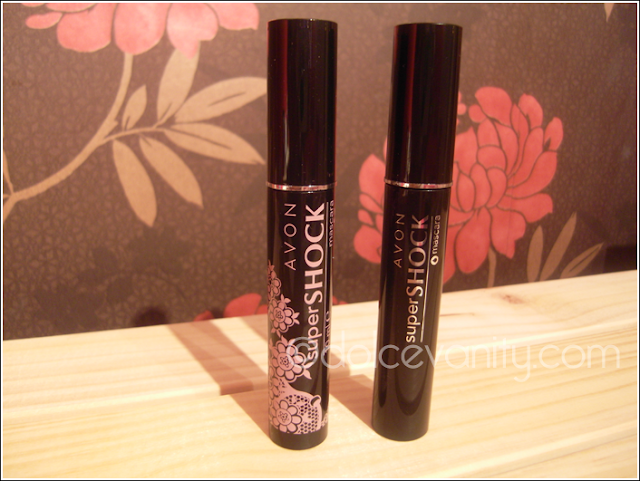 The one on the right is the normal packaging for SuperShock but I can't get over how chic the pattern is on the luxe lace ...It's a mascara I have repurchased as it's a mascara I love. Purchase : AVON Online / AVON Representative. 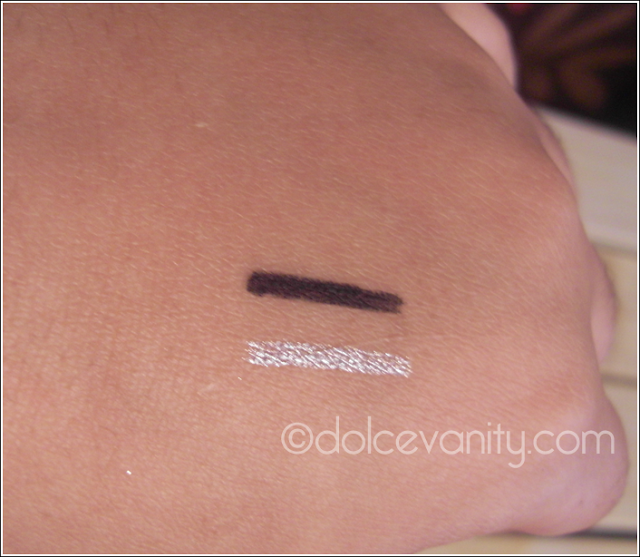 Gel eyeliner *thumbs up* you guys know I love it right ?! Especially for my waterline it's a God send. Trouble is, I normally end up with my pots drying out before I finish which is a nightmare. Therefore I've decided to try an gel eyeliner pencil for staying power. I cannot wait to try this out and give it a good ol' test run. I've heard positive things constantly about this product but will it be a good substitute for me or even replacement for gel eyeliner pots. Due to this being a gel pencil it's soft and the application is smooth and you don't even have to be heavy handed, such light soft strokes give you the colour pay off you need. The look of the Avon Luxe Lace True colour Eyeshadow Quad in Lace Hues is drawing me in but the one thing I have had previously when it comes to AVON and eyeshadow I don't get great colour pay off or great ease of use. Do you shop with AVON ?! 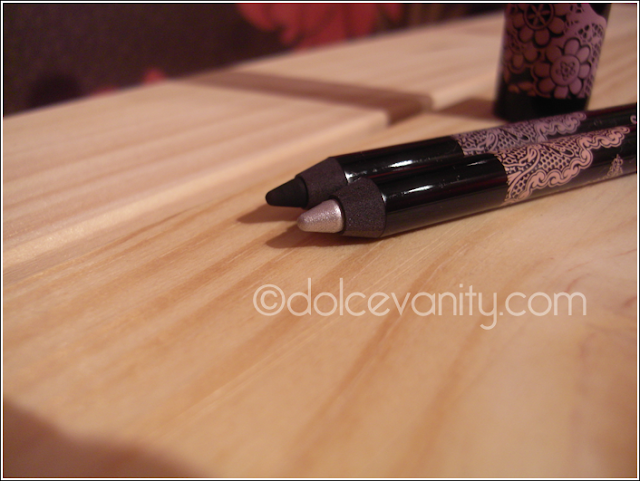 You're so going to love the Supershock Gel Eyeliner babe. For the price, its truly fantastic! No way is that eyeliner £3??! i want it gonna get it!